While there’s a bit of novelty about having a certain type of food just one time a year; I’m not the type of person who holds a strict view on preparing a dish based on what the calendar reads. Case in point: this dessert. I prepared it for Sunday night dessert and since Bri is a big fan of pumpkin, I knew she’d like it. Chris thought it was okay (he prefers pudding) and Leah only wanted the Biscoff cookie crumbs. I enjoyed it and discovered it’s even more flavorful the following day. For whatever reason, as time passed, the tastes intensified. Stir the Biscoff cookie crumbs and melted butter together. In a medium serving bowl, press about 2/3 of the cookie crumb mixture into the bowl, reserving the remaining 1/3 for the top. With a mixer, beat together the cream cheese and pumpkin together until smooth. Add the vanilla, sugar, pumpkin spice and mix together until well blended. Fold in half of the whipped cream. 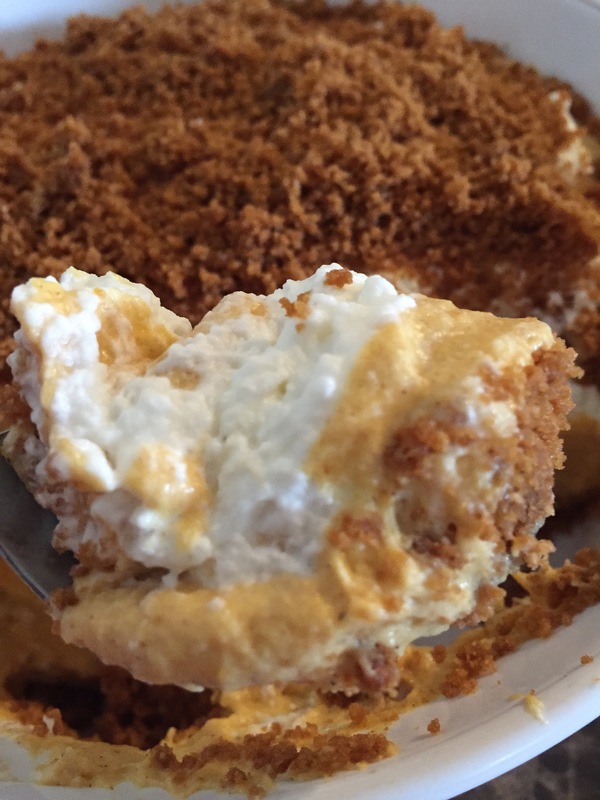 In the serving bowl with the pressed in Biscoff crumbs, add a layer of the pumpkin cheesecake and a layer of whipped cream and repeat. Top with the remaining Biscoff cookie crumbs. Chill in refrigerator until ready to serve. 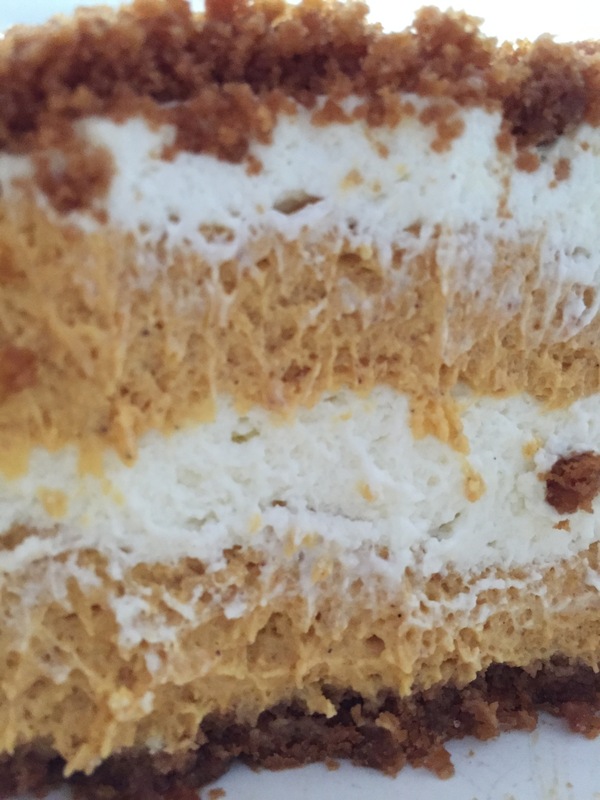 This entry was posted in Desserts, No-bake, Pumpkin. Bookmark the permalink.